Center Stage, a cultural exchange program developed by the Bureau of Educational and Cultural Affairs in collaboration with the New England Foundation for the Arts, will bring musicians from Egypt and Ukraine to America for a nation-wide tour through December 2018. 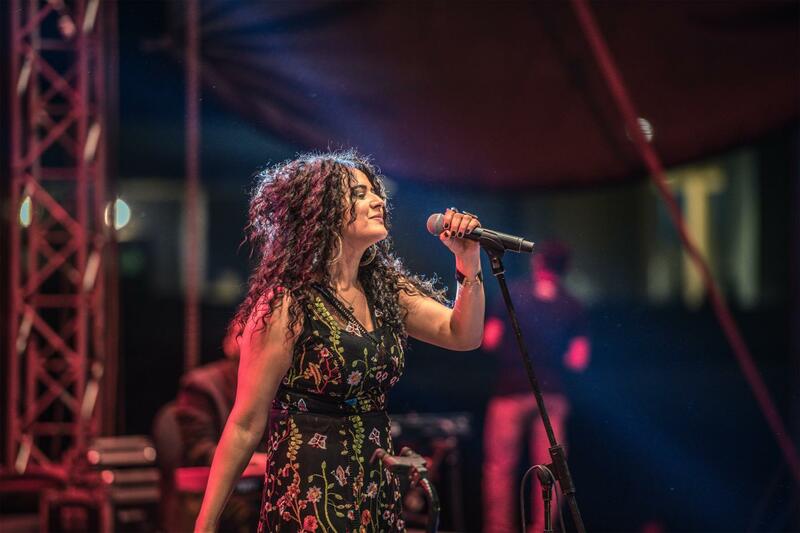 Egyptian musicians Dina Elwedidi, Mohamed Abozekry and Karkade, and Youssra El Hawary will officially kick of their tour in the Nation’s capital this month, with the inaugural Kennedy Center performance planned for September 9. The artists will bring a variety of sounds to Millennium Stage from classic Egyptian melodies to jazz and underground rock threaded with social and political messages. Ukrainian artists Teatr-Pralnia with CCA Dakh and Kurbasy will begin their D.C. tour in October. Since the program’s establishment in 2012, Center Stage has touched 85 communities in 34 states and hosted 154 musicians from numerous countries including Algeria, Egypt, Haiti, Indonesia, Morocco, Pakistan, Tanzania, Ukraine, and Vietnam. While on tour, the international musicians conduct master classes, lead workshops, and informational sessions with American artists and students to learn and exchange ideas. Now in its fourth season, Center Stage has proven to be a successful exchange program that allows international musicians to share their talent with American audiences with the intention of building mutual understanding through culture. It exists through partnerships with the U.S. Regional Arts Organizations, with support from the Doris Duke Foundation for Islamic Art, and the Trust for Mutual Understanding. General management is provided by Lisa Booth Management, Inc.
To learn more about the program and tour schedules please visit, https://centerstageus.org.